Benjamin Goh grew up not being the most talented kid in sports, and spent his time gaming away and indulging in the usual adolescent mischief and fun. However, campus life abroad soon awoken his inner athlete by exposing him to the gymming culture, and subsequently, CrossFit. During his passionate love affair with CrossFit, Benjamin suffered a major fitness setback and had to spend a long time recuperating, getting back into shape. Along that recovery journey, he met a new love that reignited his fitness fire — Olympic Weightlifting. It was a tough sport, a tough love. But one that Benjamin was serious about. He channeled this fire into building a place where he could share his passion, highlights, and struggles with the community. All with one aim — to give back to fitness and his favourite sport. That was a super summary (that does not give justice to his crazy hardwork) of Benjamin Goh’s road to founding The Vanguard. 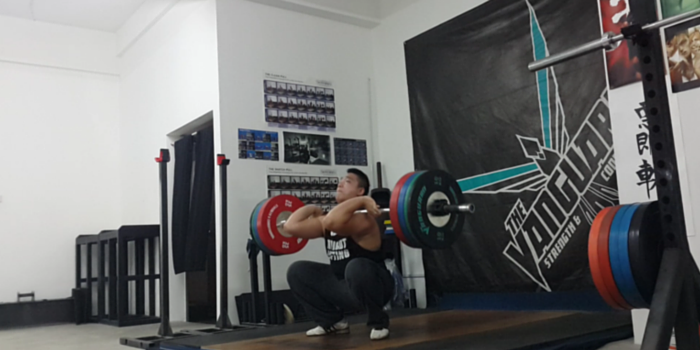 Ben passionately shared with us his experience on strength and conditioning training, as well as his journey in Olympic Weightlifting below. 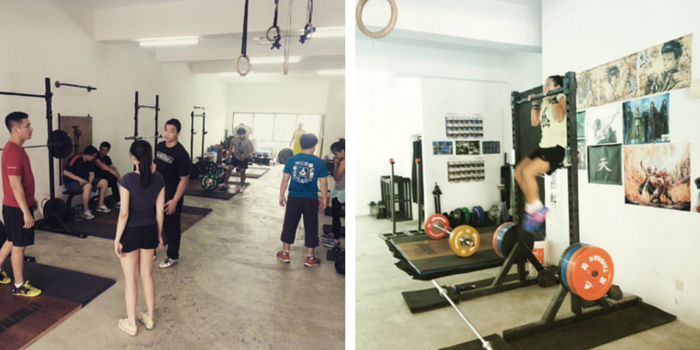 HealthWorks Malaysia (HWM): What would you share with the community about strength and conditioning training? Ben: Strength & Conditioning has always been a core aspect of sports & fitness today; which covers the physical and psychological development of an athlete’s performance. It helps them become faster, stronger, more agile and flexible. In addition, it enhances their muscular endurance and general movement so they perform better on a long term basis, and also stay clear of injury. Such training has been part of the fitness realm for ages. It is the aspect of working on very basic points of human performance and also specific emphasis for goal oriented athletes. This mainly covers the general strength exercises training, to simple bodyweight movements that has been thought as part of physical education today. In general, both the strength and conditioning training aspects are inter-related, and equally important for a trainee’s performances, development, and progress. HWM: What is the main principle in such trainings? Ben: It will be to start building the right basic fundamental base for each individual as different people have different physical attributes that affect how they’ll go about with training. Generally, we work on the ideal efficiency for each different individual out there today. So, performing their exercises/movement correctly to ensure quality movement for progress, and also staying clear from injury is a crucial point for each person that may differ. As you progress, each individual’s body response/results will likely be different, this is where more specific training, monitoring and feedback will help match an individual’s goals to guide them moving forward. In a simple context, this is called gradual progression, and I cannot stop emphasising it. Patience, consistency and diligence are key. HWM: Who would you encourage to pick up such training, and why? Ben: I would encourage any active/experienced sports and outdoors enthusiasts to give it a try. This is more so if they are looking to really develop a better base of support for their physical activities in the long run. Again, this is mainly because we aim to help develop stronger fundamentals for our bodies as well as maintaining efficient movement in general. As for more seasoned athletes, having specific goals and objectives would definitely help identify their training needs in the long run. HWM: How will you help someone to know if they are suitable for it or not? Ben: At The Vanguard, if you’re an absolute beginner, we would encourage you to inform us and schedule an assessment session. Then, we are able to review your movement mechanics and also system capacity that is related to our daily training. For beginners who are keen to continue training, we run a compulsory basics course that highlights the simple fundamentals on strength training/exercises and also going through conditioning work at a suitable level. This is aimed to help the adaptation process as they come in for training on a more regular basis. 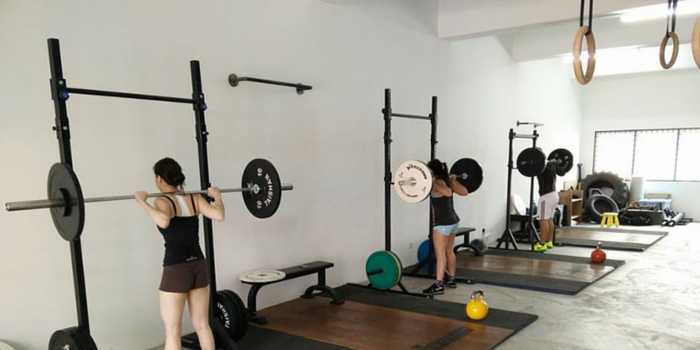 For the more experienced gym goers/athletes; coming by for a drop in session would be a simple way to kick things off for the experience here in the gym. HWM: How long until a person can see significant results? Ben: Depending on your level of frequency in the gym and how your body adapts to training, results will differ. But on a general outline, if a person comes in at least 3 times a week and has a decent rate of recovery, you are probably looking at significant results within 4 – 6 months as earliest timeline estimation. HWM: What is your advice for someone who wants to try such training? What are the realities and expectations that you can share with them before training? Come in to learn more about your body and system. Aim to become a better person inside, and also outside of the gym. Be patient, consistent and diligent within the next few months and the results will come. You’ll have to work for it. Don’t expect any results if you are only coming into the gym once a week. There WILL be difficult days, and the struggle is real. But worry not; it’s a normal part of the process. Do your best to spend some minimal amount of time in training. Eventually it will all add up. The more experience you learn, the more you will understand how your body works, and the sooner you are likely to achieve your goals. HWM:What are the potential dangers of such training (say if someone is not careful)? Ben: Where it is also fine to do it by yourself, sometimes a lack of guidance or that help of having an extra pair of eyes watching you does make a difference. This is based on my personal experience, yet again. If you’re not too careful and keep trying too hard while neglecting how your body feels, then naturally injury occurrence will be high, as well as the likeliness of falling sick due to high fatigue levels. Thus, here at The Vanguard – we want to do our best in educating and supporting an individual’s goals and journey. We certainly aim to manage and plan our training output to an ideal level where we keep consistent, stay injury free, and make progress with the results. I definitely would like our trainees to avoid potential dangers. How About Olympic Weightlifting Competitions? HWM: You’ve just completed your Malaysian National Championship competition! How did you prepare for the competition in terms of food, practice and mindset? Food – Intake will be more controlled, and preferably have clean meals. For example, less fried and oily food, lesser intake of carbs, plenty of vegetables, meat and water. Preparing such food is definitely easier when it is home-cooked. Training & Practise – Plan to slow down a little bit coming close to competition date. Minimising risk of overworking the body and injury occurrence. Personally, I prefer to have 2 – 3 days of rest doing nothing and just relaxing before my event date. Mindset – For me, I like to think of it as just another training day. Prepare to have some fun, and do my best to achieve a PR (Personal Record). In a nutshell, I’d always set myself to be as relaxed as I can, but at the same time have some set goals in mind to achieve. HWM: Who is encouraged to join the competitions? Ben: My recent competition at the Malaysian National Championships actually requires a minimum qualification number to be eligible for participation. This is meant for the more competitive level athletes in this sport. 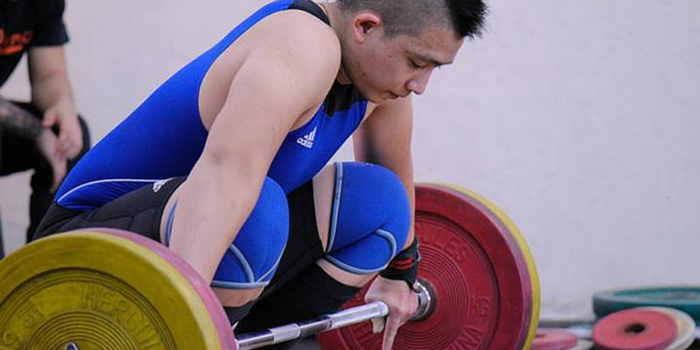 But for anybody who that is keen to test themselves in this sport of Olympic Weightlifting, there are plans being made to run more amateur level competition. I highly encourage that if you all really enjoy this sport, feel free to participate when such event arises! 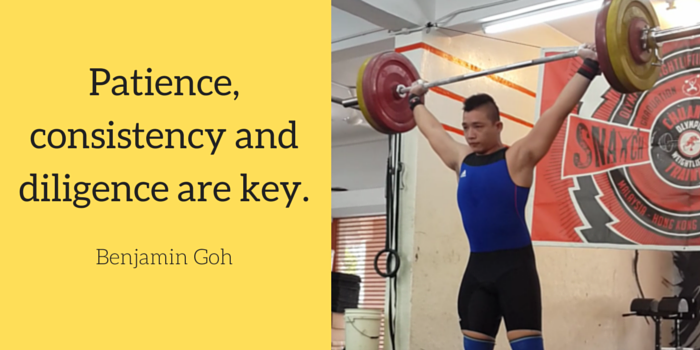 Ben’s core philosophy is to focus on your trainings and not the environment of the gym. HWM: Let’s get to know The Vanguard! How’s the culture like? Ben: This is a tough one, but I will be honest. Personally, I can be very strict, aggressive, and a little harsh at times based on my own upbringing in the gym environment before. I really don’t mean to offend anybody. So, training time means training time. Get into the gym; do your work, rest when needed, and focus on getting the job done. No messing around. You can have some small chats here and there, but we really want to keep the training in tuned with the right channel and not drift away while getting work done. Other than that, once training is done, I guess that’s when we all like to muck around and give each other some random entertainment and rubbish to talk about! It’s more of having that work and play at the same time, but in a balanced manner and being sure we have our priorities right, especially while we are getting work done and being in the zone. HWM: How are the trainings carried out at The Vanguard? Ben: We have two styles. Class – Based on our operating schedule, runs for about an hour or so and is already structured and planned for members to come in get their training work done. They will be monitored throughout these sessions to ensure an efficient flow of things. Open Training – These are sessions allocated only for open gym slots per the operating schedule. These sessions are more of a freestyle period. So, members can come in and get their own preference/program work done during the session. Our schedules are published online here. HWM: Will trainees be monitored closely? Ben: During class sessions, that is a given yes! We are there to monitor and guide the work output for the day, as well as look out for any points to further enhance a trainee’s performances in the long run. Open training on the other hand will be more freestyle (and usually for more experienced gym goers). HWM: What are your core focus for a newbie/seasoned trainer? Ben: I believe for both categories, the same pointers will apply and they are: Developing the right basic fundamental bases in exercise and training. Learning more about the physical and psychological aspects in training. Understanding gradual progression, and achieving personal goals. 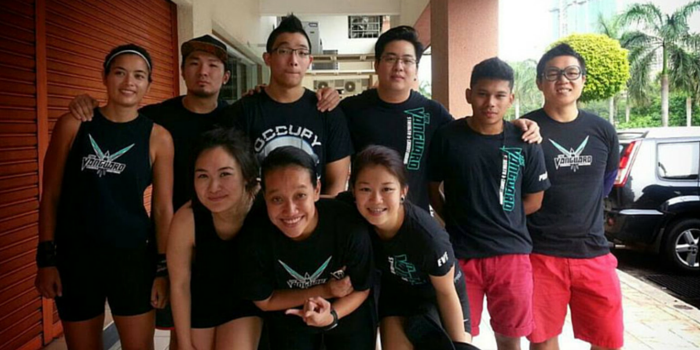 HWM: What are your views on the fitness culture in Malaysia? Ben: We’ve a lot of misconceptions such as “Skinny is fit” and “lifting weights make you big and bulky”. I truly disagree with these stereotypes. We should all think long term. Let’s stay active and fit for survival. I guessed the food culture and eating habits growing up in Malaysia also do affect our lifestyle. To add on, we probably have a lower emphasis on physical education and training for the younger generation. I believe as a country, we can be more open with sporting/fitness events to further encourage people to try new concepts and create awareness out there. Let’s encourage each other to get out of the box and try something new. One good thing about our country is we do follow trends. That has also affected the fitness scene as we are slowly progressing to a better level of awareness and exposure. HWM: What’s your daily inspiration that keeps you going? Ben: Well, I guess it’s what I’m doing now with The Vanguard. It is a huge challenge trying to manage things accordingly. But when I see the trainees come in busting their butts off and getting work done, it always puts a smile on me. Watching them progress with their journey and reaping the benefits is also a wonderful feeling. This is especially so if they are beginners who step into the gym and do their best to get better! Other than that, surely, my background of how I stepped into this realm would be another huge factor. I can only do this much to share my experiences and hope to make a difference for people today. I believe I just have to do my best and keep moving forward. HWM: If you have a huge billboard along the highway, what will you write on it as an encouragement to the rest? Ben: “To the great pains that I must go…This lustful search in the dark I’ve come to know”. In a way, it sums up my inter-related experience both inside and outside of the gym. It’s about enduring the hardship and troubles in life and training (great pains), breaking through them to seek and learn more about ourselves. Take the positives from that and keep doing your best to become better (lustful) in life as we move forward with what’s to come (the dark). 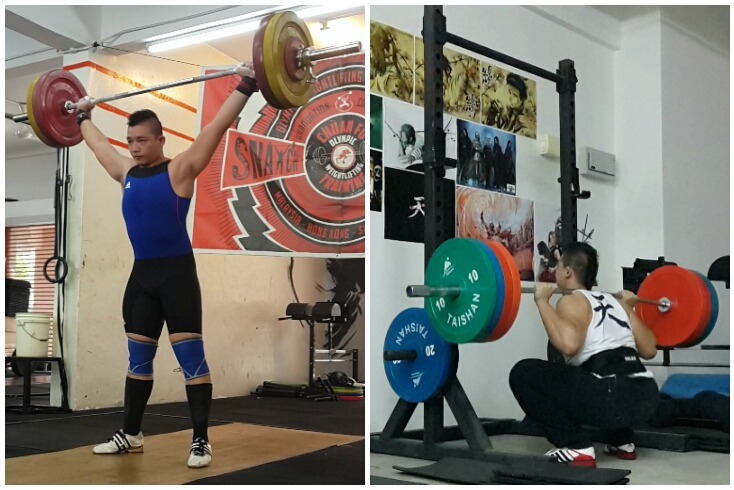 Personally, Ben aspires to continue competing on a National scale events in the Olympic Weightlifting sport. As for The Vanguard, his aim is to never stop helping fitness enthusiasts with their goals and objectives. Together with other like-minded peers, he looks forward to raising more awareness and exposure within the fitness & training scene today in hopes of building a stronger Malaysia and providing a better base of knowledge and support. Ben currently coaches at his facility, The Vanguard. They offer The Basics Course, open trainings and also memberships from 3 months to 6 months. More information on schedules, programmes and fees can be found at their website. Now, are you keen to take up a new sport or to improve your fitness level? The Healthy Achiever Series is where we interview some high achiever Malaysians on how they keep healthy and happy. Stay tuned for more follow-ups to this series!